If you are interested in buying a home in Bangalore, you can have a look at property in Ashok Nagar Bangalore. This is one of the most important residential areas in the city. The demand for property in the area has been increasing over the years. Bangalore is one of the most important cities in terms of commercial activities. The corporate employees are looking forward to buy residential apartments in Ashok Nagar Bangalore, as they can enjoy the location advantages of the area. 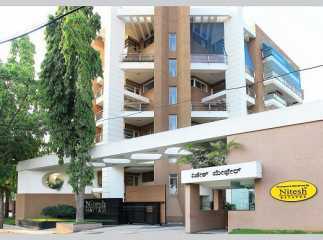 The reputed developers have come up with sophisticated residential complexes in the city. You can get an apartment in these estates and live up to your housing dreams. The social infrastructure in the area is well-developed. The important schools in the region include St. Joseph's Boys High School, Bishop Cotton Girls' School, National Public School, Bishop Cotton Boys’ School, and others. The important hospitals around the area include Victoria Hospital, Manipal Hospital, and the Bangalore Hospital. Homeowners can buy an apartment in the ready to move projects in Ashok Nagar Bangalore now.